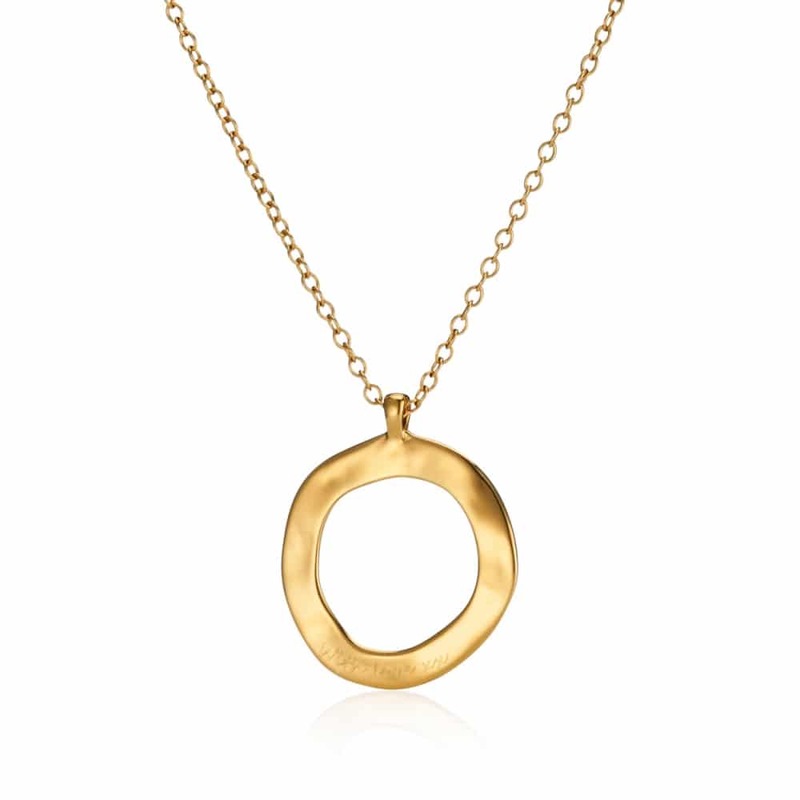 This circle necklace takes the classic beauty of Yellow gold and pairs it with minimalist style to create the perfect addition to any contemporary wardrobe. If you have a friend who needs an encouragement to be calm, this beautiful circle necklace inspired by the serenity prayer is the ideal gift. 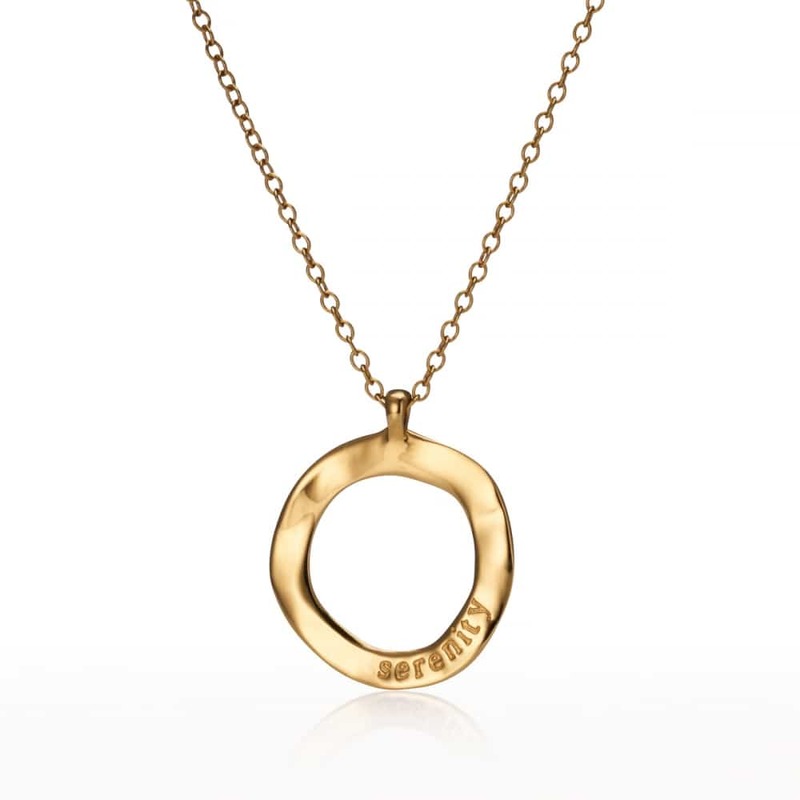 An open circle of Yellow Gold has been hammered to give a textured, tactile finish. 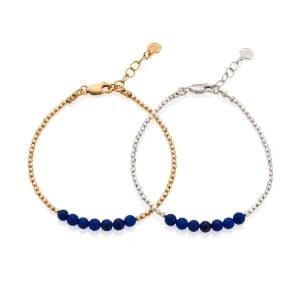 We’ve then engraved the word ‘Serenity’ and attached it to a delicate yellow gold chain. 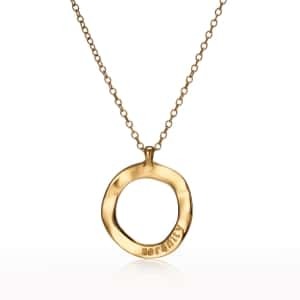 Make this necklace an extra special gift with a custom engraved message on the reverse of the pendant. We have designed this necklace to be an encouragement for tranquillity and calmness. 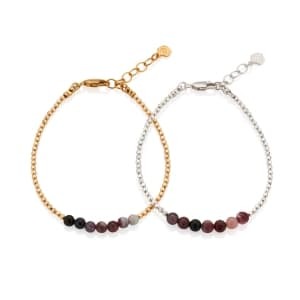 A true contemporary classic, it would make a beautiful gift for a friend or to treat yourself. 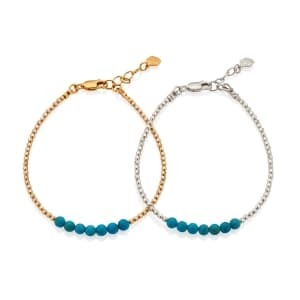 We also offer two different chain lengths, so you can choose from 18” or 30”. 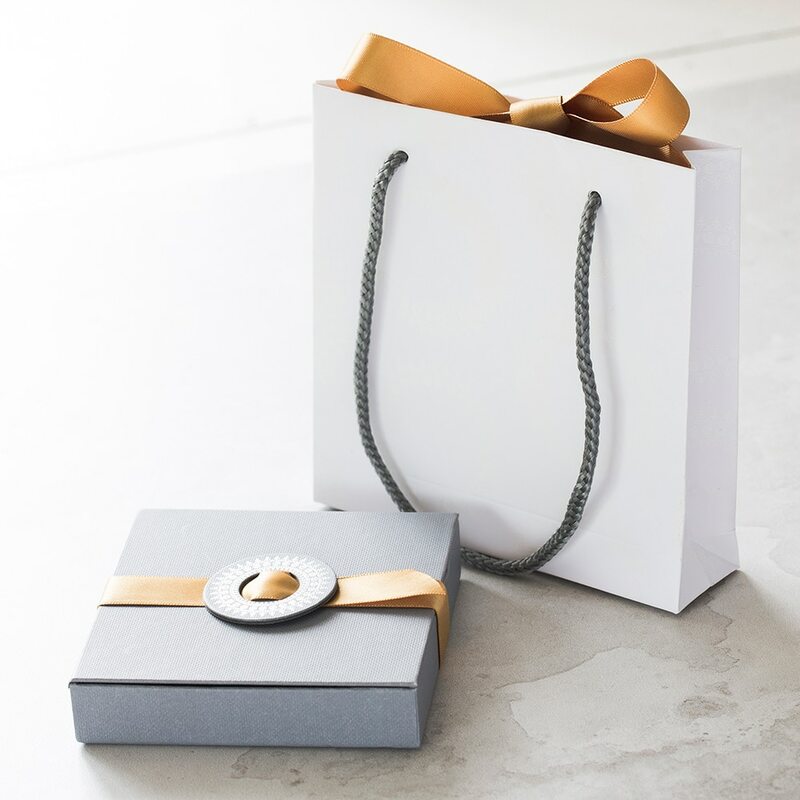 Each necklace comes lovingly packaged in one of our beautiful gift boxes with ribbon trim, ready to give as a gift.